Memorial Day marks the unofficial start of the summer party season. Once this holiday has passed, it's time to scrub down your grill and send out your Fourth of July cookout invitations. However, these aren't the only tasks that you should be completing before you host a summer soiree. Your appliances likely need a little bit of attention too, so use these tips to get them in top shape for the summer season. Start preparing for your summer parties!Start preparing for your summer parties! Many homeowners don't realize that their freezers run more efficiently when the appliance is fully stocked. When it's packed with frozen foods, the freezer doesn't have to work as hard to maintain that optimal 0 degrees Fahrenheit. Chances are that you'll be going in and out of your freezer frequently during parties, so help your appliance out by stocking the freezer full of food. Pick up extra packs of hot dogs or hamburgers to use at a later date, or simply tuck a few bags of ice into the appliance. If you're eating on the patio or the kids are playing in the yard, chances are that the door will be opened quite a bit during your gathering. Make sure your air conditioner is in good shape and can handle the temperature fluctuations by giving it a once-over at the beginning of the season. If you have in-window air conditioners, Consumer Reports recommended that you clean the filters, vacuum the coils, straighten the fins and plug any leaks. These easy tasks will help ensure that your house stays cool, no matter how many people go in and out. Don't forget to invest in a TotalProtect® Home Warranty as well. This service will come in handy if your air conditioner or other big-ticket appliance has a mechanical problem. Your stove will see a lot of use when you're hosting parties, so keep it clean.Your stove will see a lot of use when you're hosting parties, so keep it clean. Whether you have an electric or gas-fueled stove, it's important that you keep the appliance clean throughout the summer season. 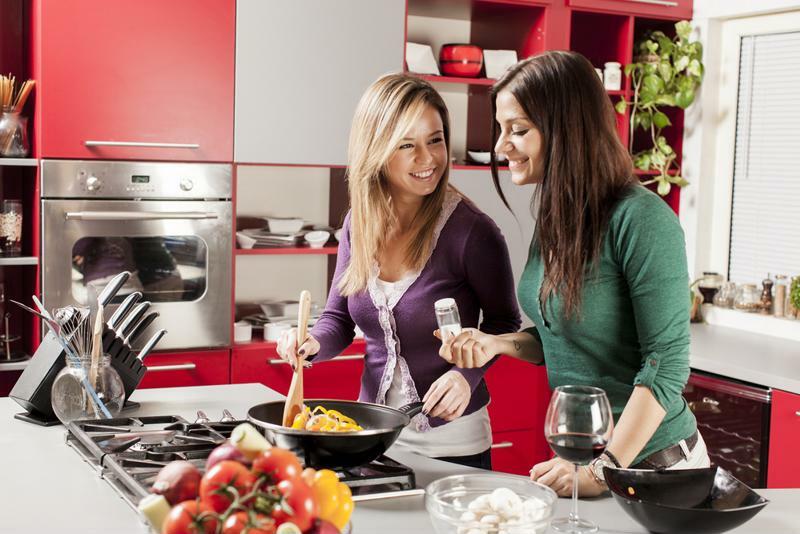 You'll likely be sauteing side dishes, boiling corn-on-the-cob and cooking pasta, and a clean stove top will make all these tasks much easier and safer. Scrub down your range top after each use to keep bits of food and spilt liquid from hardening on the surface. Not only will this make cooking easier, but it will also preserve the appliance in the long run. If you have an electric stove, be sure to clean the burners regularly to ensure that the gas holes don't get plugged by debris. If you take these steps every time you have a gathering, you'll be guaranteed full use of this essential appliance, which will lead to a flawless summer party.